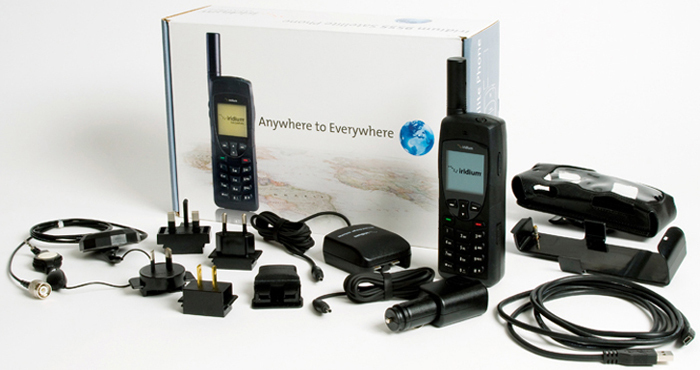 A SATELLITE PHONE, satellite phone, or satphone is a type of mobile phone that connects to orbiting satellites instead of terrestrial cell sites. They provide similar functionality to terrestrial mobile telephones; voice, short messaging service and low-bandwidth internet access are supported through most systems. Depending on the architecture of a particular system, coverage may include the entire Earth, or only specific regions. The mobile equipment, also known as a terminal, varies widely. Early satellite phone handsets had a size and weight comparable to that of a late-1980s or early-1990s mobile phone, but usually with a large retractable antenna. More recent satellite phones are similar in size to a regular mobile phone while some prototype satellite phones have no distinguishable difference from an ordinary smartphone. Satphones are popular on expeditions into remote areas where terrestrial cellular service is unavailable. Satellite Internet access - Wikipedia. SATELLITE PHONE FAQ - "Are you looking for a satellite phone? Browse our website to find information on satellite phone rentals, service plans and equipment providers in various countries." inmarsat IsatPhone Link - "A low-cost, fixed-line satellite phone service for people based in rural or remote areas outside of cellular coverage and deployable anywhere in the world." Designed for indoor or outdoor use, you can set up IsatPhone Link within minutes to provide crystal-clear and reliable telephone calling. Also ideal for emergency and back-up communications. FleetPhone - "Our low-cost, maritime satellite phone service is designed for use when you're beyond the range of land-based networks." IsatPhone Pro - "A low-cost, handheld satellite phone that enables you to make calls anywhere around the globe – and comes with voicemail, text and email messaging, and GPS location data." IsatPhone 2 - "Designed to work with the most reliable satellite communications network in the world." IRIDIUM 9555 - "The tough handset chosen by tough customers." Not only the smallest phone Iridium has ever made, it’s also the most powerful. Engineered to withstand the world’s toughest environments. Iridium Extreme - "The smarter, tougher satellite phone." The first phone to combine location awareness and SOS. Iridium Extreme PTT - "Fast. Simple. Global." Push-to-talk as it was meant to be. THURAYA XT - "One of the most successful satellite phones of all time." The world’s toughest satellite phone for use in the most challenging environments. Thuraya XT-LITE - "Simple. Reliable. Affordable." Best value. Satellite calls and text messages. Thuraya XT-PRO - "The world’s most advanced satellite phone." Biggest display in industry (2.4 inch). Selectable navigation systems; GPS, BeiDou & Glonass. Up to 9 hours talk-time & 100 hours standby time. In-built SOS button. Jet water, & dust resistant, shock proof.